Front Page > Leisure/Sport > Revising For Exams? It’s that time of year again for GCSE, A-level and Degree level students to sit in and over a desk! This time of year can put a lot of strain on you mentally and physically so make sure you look after yourself! 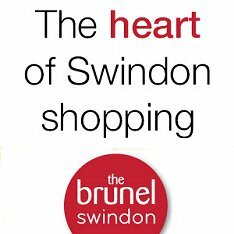 Revision often requires sitting hunched over a book or gazing at a computer both of which are not ideal for long periods of time so here’s a few helpful tips from Swindon Chiropractic Clinic to try and make the period a little more comfortable. - Always work at a table! This will immediately give you more support for your back and neck. - When sitting at a desk try and sit more to the front of the chair with your feet both firmly on the ground so that your pelvis tilts forwards, encouraging you not to slump and to have a more natural lumbar curve. - If you’re working at a computer or a laptop, make sure this is raised to eye level to ensure that you do not have to look down and put strain on the base of your neck. - Have a break! Breaks help you mentally but also physically – get up have a walk around and stretch out your legs and shoulders. Try and look for as many situations as you can to be active in the day whether it’s walking to somewhere rather than taking the car or public transport. Every 20 minutes try the Brugger release or Wall angels exercise to loosen things up. - Have a sensible bag! Check your bag before you leave the house or school or college – what can you leave to ensure your bag is not too heavy for you. Also try and get a bag with 2 straps that is supported evenly over your shoulders. - Keep drinking water! Exams often come in a period of warm weather so it’s important to remember to keep your fluid levels up. - Most of all keep calm! Emotional stress may not cause muscular-skeletal issues but it can certainly exacerbate them by affecting the pain processing in the brain. Have a catch up with friends, downtime or a reward system to keep you positive. 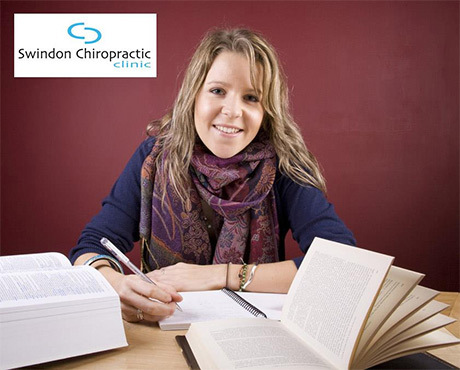 Lastly, good luck to everyone taking exams this summer, and remember if your exams are giving you a headache, give Swindon Chiropractic Clinic a call on 01793 820599. Swindon Chiropractic Clinic have treated over 28,000 people since opening in 1982. They offer a safe, effective hands-on treatment which gets straight to the cause of the pain. > Swindon Chiropractic Clinic - more info. Getting Back To The Gym?